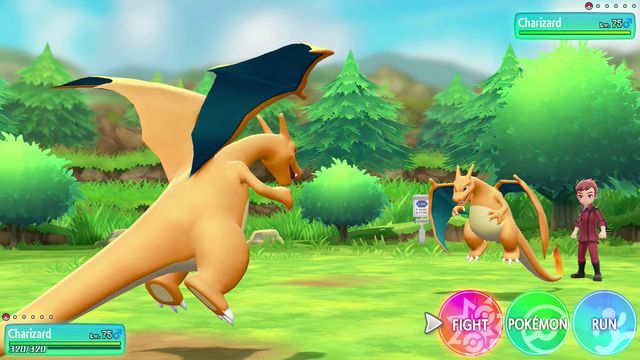 As director Junichi Masuda teased for us last week, Pokémon: Let’s Go! will introduce a unique challenge during its postgame. Scattered throughout the world of Kanto are expert trainers, each one the master of a specific Pokémon. Your task? Challenge them all — all 151 of them. They’re called Master Trainers, and they’ll only battle you once you’ve bested the Elite Four and taken down the Pokémon League. With your Champion belt in hand, you can go through the Kanto region once again to find these characters. They’re designated by a thought bubble above their heads showcasing their favourite Pokémon. Their favourite Pokémon also happens to be the only one on their team, as well as the only one they’re willing to square off against. So if you want to take on the Charmander Master (that would be me), you better have a Charmander of your own on hand. Defeating all 151 of these competitors will take a lot of trading, evolving and catching, so these are even bigger tests of skill than just the fights themselves. Beating a Master Trainer lets you take their title away from them, which is kind of sad, honestly. But it’s an intriguing way to add challenge after the main campaign ends, which can be hit-or-miss with the Pokémon series of late. Pokémon: Let’s Go! launches Nov 16th.